Smokey Joe has soft sterling grey fur. He's a 3 year-old gentle, mellow fellow with a handsome round face and big golden eyes. 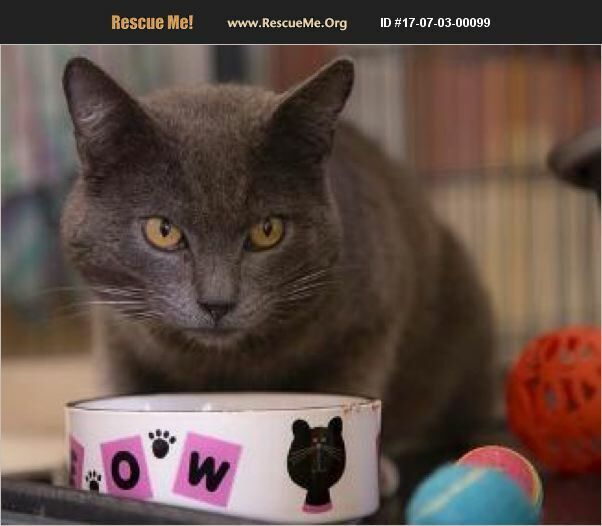 Smokey Joe is an old soul who adores people,attention and attention and is easy going. He's a staff and volunteer favorite and will be so happy to meet you! He is an FIV cat and needs to be indoor only. An FIV cat can be a wonderful companion and live a long healthy life.